Gun Cylinder Pen and Pencil Holder | BUDK.com - Knives & Swords At The Lowest Prices! 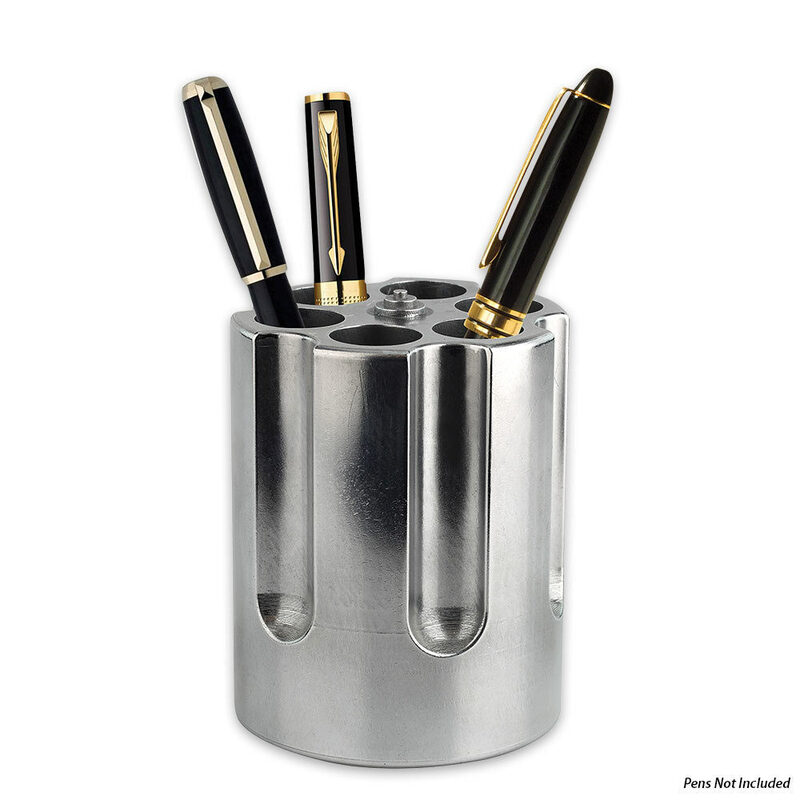 Organize your messy desk in eye catching fashion with this Gun Cylinder Pen and Pencil Holder! The holder is made out of solid cast aluminum and looks just like a real gun cylinder. It's 2 1/5" diameter x 3 3/4" high. It will dress up a desk in a flash, and people will know you mean business!